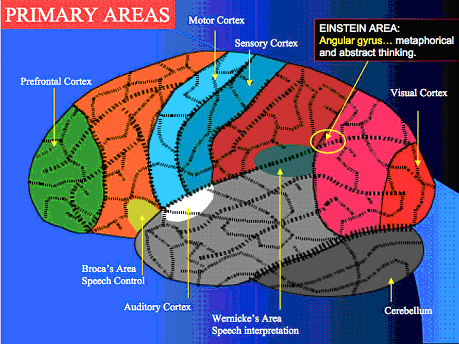 Neuroplasticity- The brain's ability to reorganize itself by forming new connections throughout life. This week my chiropractor from Escanaba Michigan joins me, his name is Dr. Reed Hubert. Dr. Hubert is so exited by this discovery because it scientifically supports what many on my show have been saying for the last two years. Can we re-program our brains? Are we capable of achieving greater things by using our thoughts, emotions, and actions. It was quite by accident that I found Dr. Hubert, or was it? On a clear winter day with good driving conditions, basically clear roads, I wound up finding a small patch of wind blown snow and spinning out. A car cut in front of me and my only recourse was to cut into this snowy lane, which was only in that particular spot because of the wind that day. It was a lane of snow that was probably no more than 50 feet long. Anyway, I was not hurt, but my wife pulled something in her lower back. What was neat about the event is that it was almost as if our car was lifted by an unseen force (hmm, what could that be?) and spun around a couple of times and instead of hitting a guard rail or going in a ditch, we landed perfectly on an exit ramp. Plus it was fortunate there wasn't another vehicle sitting there at the time. Do you see how that all had to work out so perfectly? Thanks to my wife's sister we made an appointment to see Dr. Hubert and our relationship took off from there. To add a bit more of a bizare twist to this, my sister in law's husband repairs vehicles, they had actually been praying for business, and we provided it. It wasn't major damage and certainly could have been a lot worse. I really felt I was blessed to survive the ordeal unscathed and to meet the good doctor. I almost see it as divine destiny. Also on this show, which will be continued into next week, we'll discuss how chiropractics works, vaccinations, body-mind-spirit and much more. Please welcome my chiroprator, Dr. Reed Hubert. My first encounter with channenling came from a book called Messages From Micheal. I went to my first channeling session in the early 90s. I was told that channels can receive messages a couple of different ways. 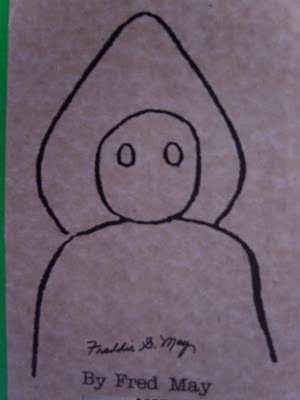 One, from a spirit speaking through the person or automatic writing. At first it was a bit freaky to think that someone elses energy could work through us. How can that be? Is this a natural thing? Could we all do this? Is there wisdom that lies in other realms? Is there any danger in trying to do this? My experiences with channeling were usually with a group, my guest this week mostly does it on an individual basis. 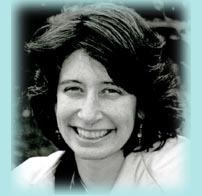 Roslyn Elana McGrath grew up in the New York area and moved to Marquette Michigan a while back. She will assist you in finding more clarity, peace, joy, trust, balance, self-love and compassion. She also talks about a shift that is currently underway which is in regard to the 2012 prophecies. Many are talking about this, many are feeling that something is changing, are you? Perhaps there are many here at this time who are trying to help us ease through this time of change. Perhaps they are drawing from greater wisdom. Possible? There are many ufo cases where you could think that maybe it was something else, that is not the case with the event that took place in Braxton County West Virginia some 60 years ago. 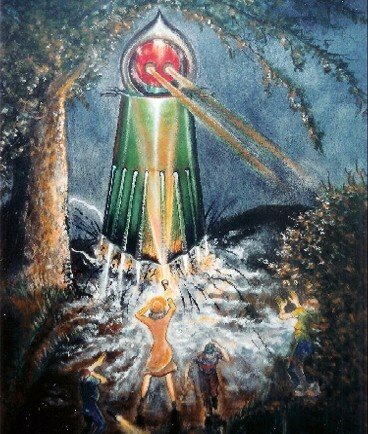 In 1952 one of the most documented ufo events took place in our history. It is one of the most documented events due mainly to one man, Frank Feschino Jr., who has relentlessly pieced it all together for the last twenty years. On the left is a picture drawn by a young Fred May when he saw this thing back in 1952. 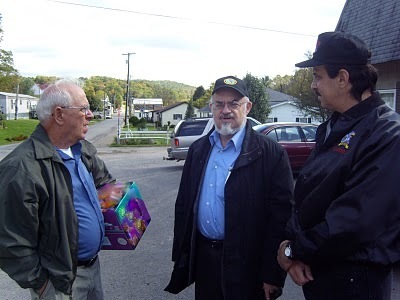 On the right is a picture of Fred today, along with Stanton Freidman and Frank Feschino, the photo was taken during the filming of the Monster Quest program. 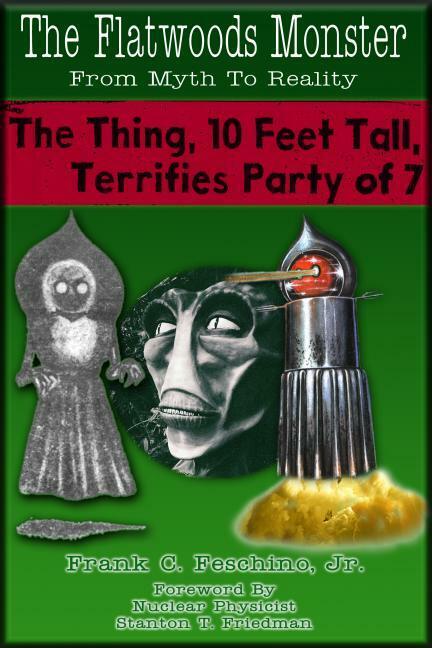 I'm not here to bash Monster Quest, but they told an absolute mis-truth about the real Flatwoods Monster that was seen in West Virginia way back in 1952. It's not a monster at all, or is it in any way connected to the Star Child. Nor was it mass hallucination. When has there ever been a proven case of mass hallucination? "The Air Force revealed today that jet pilots have been placed on twenty-four-hour nationwide 'alert' against 'flying saucers' with orders to 'shoot them down' if they refuse to land." "Maj. Gen. Roger Ramey, deputy Chief of the Air Force Staff for Operations, told the news conference [July 29] that interceptor planes have raced aloft several hundred times as a result of reported sighting of unidentified objects. He said that was just standard procedure." Telegram to President Harry Truman, July 29, 1952: " I respectfully suggest that no offensive action be taken against the objects reported as unidentified which have been sighted over our nation. 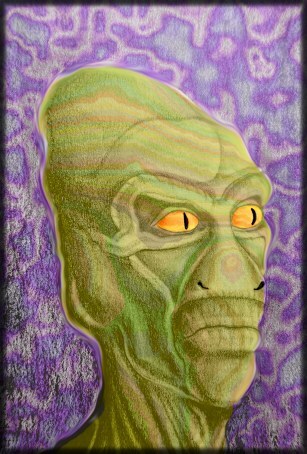 Should they be extraterrestrial- such action might result in the gravest consequences, as well as possibly alienating us from beings of superior powers. Friendly contact should be sought as long as possible."